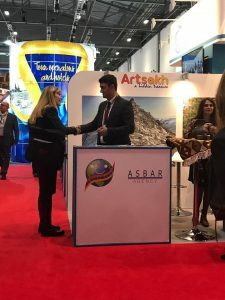 On 5-7 November the city of London hosted the famous World Travel Market, where many countries and more than 50.000 representatives of tourism sector participated and advertised their programs and destinations. 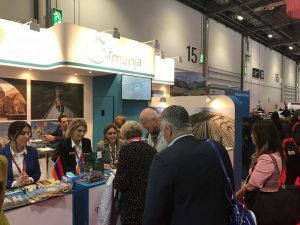 With the support and participation of the Armenian Tourism Development Foundation, the Armenian tour operators advertised their tour packages. 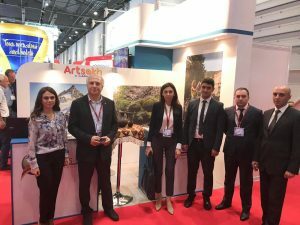 The representatives of Arstakh’s Tourism Development Agency and Asbar tour operator presented the touristic destinations of Artsakh. Representatives of Armenia took part at the exhibition from 5-7 of November, while the representatives of Artsakh participated at the first two days of the Market and returned on 7 November. 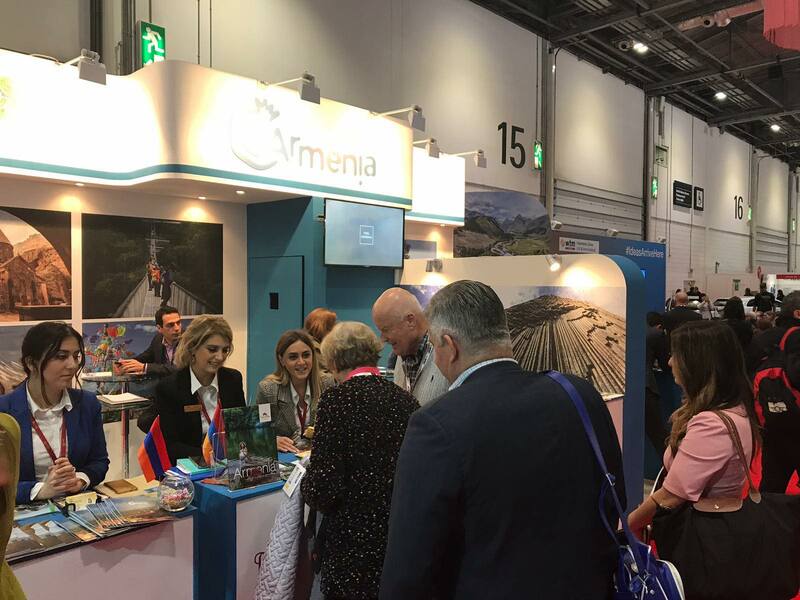 Various tour operators, many guests, representatives of the mass media and the Armenian community attended the Armenian pavilion and expressed great interest in visiting Armenia and Artsakh. During the first two days of participation of the representatives of Artsakh, the Azerbaijani side complained to the organizers and demanded to withdraw the Logo of Artsakh and other materials with references to Artsakh. 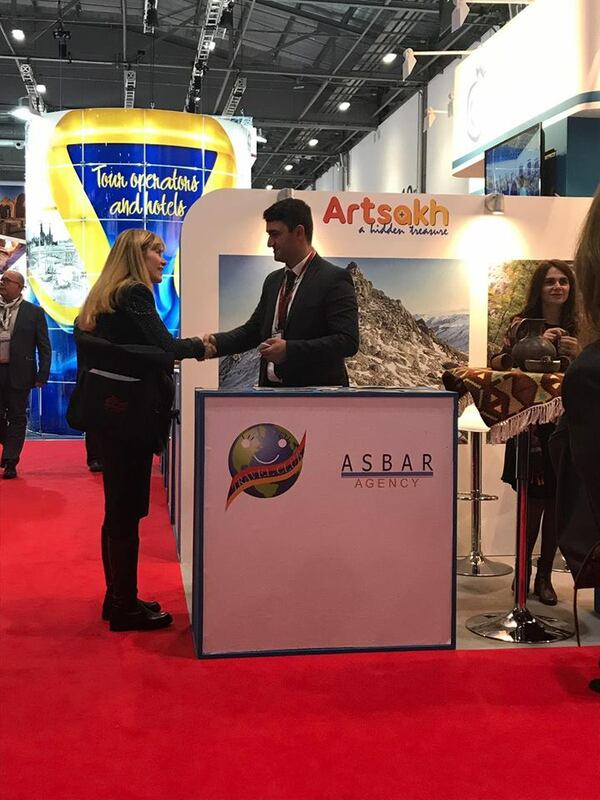 Despite those ill-intentioned efforts, the Armenian side, with the support of the Embassy of Armenia to the United Kingdom, successfully blocked all the attempts to halt participation of Artsakh representatives, through constructive cooperation with the organizers of the WTM. As a result, Artsakh was properly represented at the event. The booklets and leaflets about Artsakh were widely distributed and new business ties were established.